Colonial Revival. 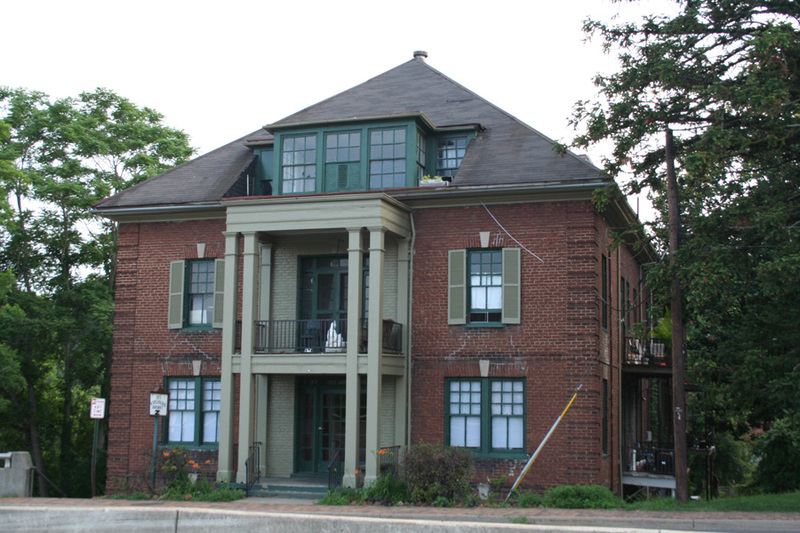 A 3-story, 3-bay, 9-bay-deep, brick Georgian Revival apartment building. The long axis overlooks Blackwater Creek, with 3 bays facing Rivermont Avenue. The building features brick cornice, quoins, belt course, side dormers, and porch on the north side. Alterations 1935-36, added apartments in basement. Originally built to serve as a dormitory for the Piedmont Business College next door at 307-311 Rivermont. Now used as apartments. This property demarcates the boundary of the Rivermont Historic District which primarily extends along the avenue from here to Link Road.